Blog Ready For Winter Fun? Our Dental Team Is! Ready For Winter Fun? Our Dental Team Is! WHETHER YOU LIVE IN a winter wonderland or enjoy warm weather and sunshine year-round, every region has something unique to offer during the winter months. In the southeast it seems like trips to Gatlinburg, bon fires, and North Carolina ski vacations are popular. We all love that Chattanooga has brought ice skating back!! Today, our dental team would like to share what some of our favorite ways to pass the time this time of year! Dr Mark– I love to ski! 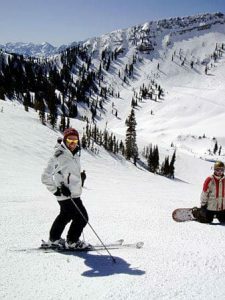 I think snow skiing is amazing and a great family activity. Dr. Mark and friend Skiing. Three generations of McOmie’s skiing, Dr. Ellen McOmie, Dr Mark McOmie, David McOmie (Dr. Mark’s dad), in front is Claire McOmie at 3 years old. 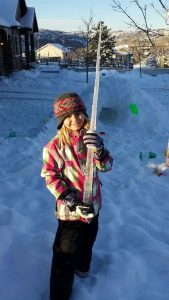 Savannah– I like to go sledding. There is a big hill behind my house that makes a perfect sledding hill. Last year I got to take my daughter sledding for her first time. It was so fun. Scarlet– I will play in the snow until I am dead tired! I only come in when I am so cold I am shivering. I love playing in the snow, I keep thinking I will grow out of it but then it snows and I am a kid again. So fun, I hope it snows in Chattanooga soon. 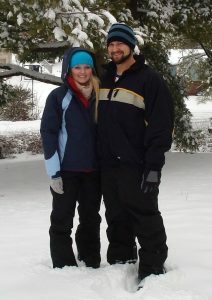 Scarlet and her husband Jordan, playing in the snow. Kristin- When I lived in the west I loved snowshoeing. I like skiing but I have old lady knees and it isn’t worth the pain. When there is a snow day I love getting my kids and making a snowman and building as much as we can before it melts. Morgan– I love to bake! I really love to make gingerbread both cookies and I have a big gingerbread man pan. I make it and my son decorates it. You really can’t make gingerbread any other time of year. Ashley- Making casseroles and really good soups! I love that on a cold day to make good food the house smells great and it is cozy. Then read a good book or watch a fun movie with friends. I love watching those hallmark Christmas movies. Allie- I hate winter my favorite thing is to stay in the heat inside. The only good thing about winter is the clothes look good and I like wearing a nice warm sweater. If it snows I am staying inside by the fire. I do like a warm fire on a snowy day, so that’s one good thing about winter. 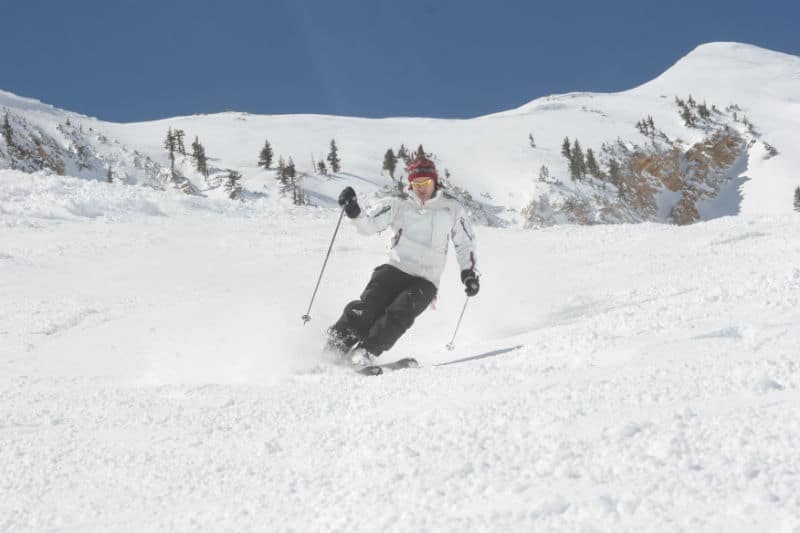 Dr. Ellen– I love the family time that skiing brings. I think it is something we can do for our entire lives and hopefully as our daughter gets older she will still want to ski with us. As a kid I loved when my dad would pull us around the neighborhood on our sleds behind the riding lawn mower. It is one of my favorite memories. Dr Mark, Claire McOmie, Dr Ellen McOmie on a ski lift. We love winter as much as these fuzzy little guys! We’ve had a lot of fun sharing our favorite winter activities, now we want to hear from you! Share your favorite ways to pass the time this time of year in the comments below or let us know on social media!